Are you one of those stampers who LOVE to stamp but feel like you don't have hours to commit to your hobby? If so, this is the perfect option for you. Every month for $19.95 (includes shipping), you receive a box filled with all the supplies you need to complete 4 cards, or a 3D paper project. The typical kit will take no more than 1 hour to complete and you will always have gifts or cards on hand. You can get the try-it kit or place your order by June 10th and get the June box. Remember, once they ship you cannot get them again so don't wait! 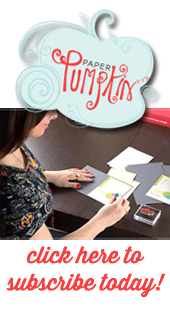 Select me as your demonstrator & I will make sure to ship you a free catalog, a reusable card, AND a coupon for Stampin' Up! product. Happy stamping!